The leaves are changing. 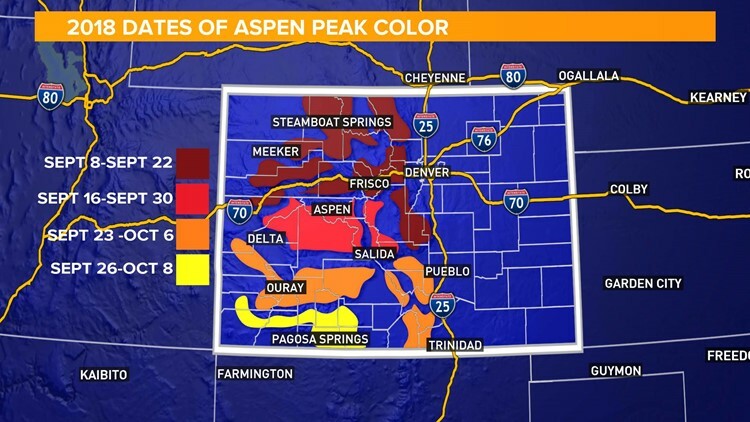 These are the best times and places to see the peak fall colors. KUSA — It one of the most beautiful times to live in Colorado. Hillsides turn stunning shades of gold, orange and red. And it sometimes seems to happen almost overnight. Leaves change color each fall when they stop photosynthesis so they can rest for the winter when there isn't enough sunlight. The green chlorophyll fades, leaving behind the others colors that had been hidden the rest of the year. 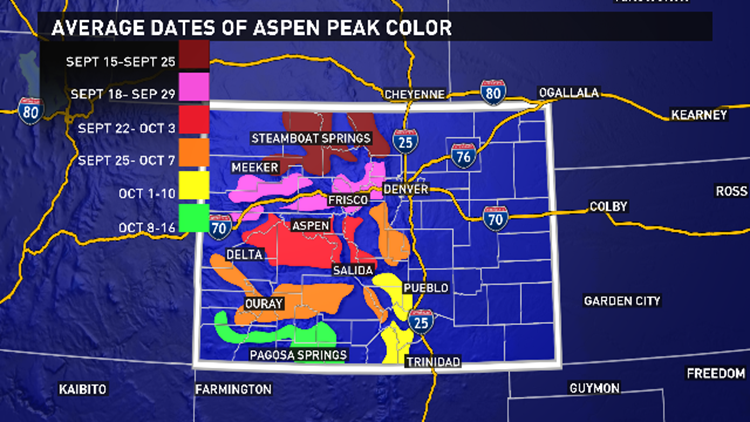 Typically, colors peak in the northern mountains throughout the month of September. The central mountains peak the last week of the month. For the southern mountains, it’s the first week of October. One of the best, and most popular ways to see the fall colors is by going on a drive over one of the many scenic byways or mountain passes surrounded by changing leaves. Each route has many places to pull over and take pictures and to go for a hike or walk for a closer look at the gorgeous scenery. If you'd rather get an up-close look at the colors the whole way, there are several hikes that take advantage of the season. We want to see your photos of the beautiful autumn colors in our state! You can upload your photos, or e-mail them to have them included in a photo gallery we will publish later.